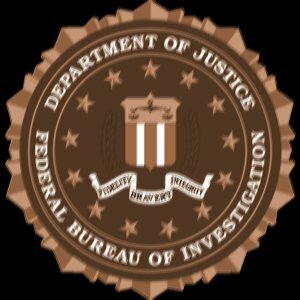 The Federal Bureau Of Investigation ( FBI ) Has discovered through our intelligence Monitoring Network that you have an ATM VISA CARD left with the U.S. Fund Comptrollers Office. We are officially here to inform you that we have completed our investigations about the release of your $2.5 million dollars a compensation fund which you are supposed to receive from the U.S. BANK. The $2.5 million dollars were credited into an ATM VISA CARD, we scanned the ATM CARD it's 100% good the ATM CARD is real and already been activated for use. The Government of United States have ordered the release of the ATM CARD to you within 3 working days. After a brief meeting held by our Board of Directors, which was concluded that the delivery of your ATM CARD to your address must be completed tomorrow. The FBI Director in his speech made it clear to all citizens and foreigners that this year 2018 will experience fairness in the Government activities and also he has apologized for the way you have being treated in trying to get the $2.5 million dollars. He promised that it will be a thing of the past once you are ready to fulfill the obligations and co-operate with the Government. 2. All fund beneficiary are due to receive their funds before end of this month. The U.S. Department of Treasury ordered all the banks and companies here in the United States owing funds to beneficiaries to pay all the beneficiaries within the period of time 3 working days. Any company or bank failing to comply with the order will face the law of the United States. We had a dispute earlier with the U.S. Fund Comptrollers Office concerning a (POAFC) PROOF OF ADEQUATE FUND CERTIFICATE which was the major reason you did not receive the ATM CARD since. Having reviewed all the obstacle and problems surrounding the release of your ATM CARD by the U.S. Fund Comptrollers Office, all has been settled. After the meeting yesterday with the U.S. Fund Comptrollers Office, we have reduced the charge $880 for the (POAFC) PROOF OF ADEQUATE FUND CERTIFICATE to $240 so that you can meet up with the payment. All you can now send is $240 .00 only nothing more. This is the only payment you are required to make, every other fee have been waived off by the U.S. Department of Treasury. Secondly, this is the final stage of this delivery. As soon as the (POAFC) PROOF OF ADEQUATE FUND CERTIFICATE is procure on your behalf, your ATM VISA CARD will be delivered to your address without any more delays. You are advised to make the payment $240 .00 to the U.S. Fund Comptrollers Office where you will have the PROOF OF ADEQUATE FUND CERTIFICATE. Send $240 .00 Walmart to Walmart. Once you send the $240 .00 then you must forward the payment details to U.S. Fund Comptrollers Office to enable them receive the payment quickly, such as REFERENCE# SENDERS NAME AND ADDRESS. Make sure you give your full name and address to them to avoid delivery to the wrong address. I am giving you 100% guarantee, within 45-minutes of time upon receipt of $240 .00 the (POAFC) PROOF OF ADEQUATE FUND CERTIFICATE will be ready and your ATM CARD will be dispatched for delivery to your address and you will receive it tomorrow.